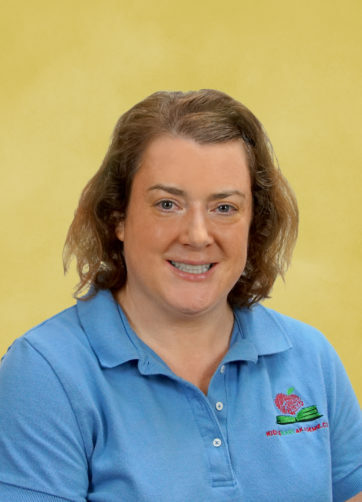 My name is Karen Selby and I am very happy to be teaching here at Kiddie Kare A’Kademie. I am the lead teacher in the Twiddle Bug Room (1-2 yr olds). I live in Kenosha with my husband and daughter, Tricia. Tricia currently attends Kiddie Kare and loves it! Before starting here in April 2011, I taught middle school science for six years in Illinois. At the end of those six years, I decided I wanted to work with younger children to renew my love of teaching. I am so glad I made the transition to early childhood education. I love the friendly and supportive nature of the center. I enjoy helping children reach some of their developmental milestones.